📣📣 NEWS ALERT. 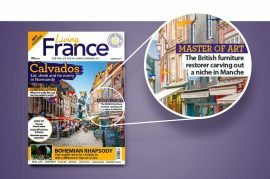 My journey from being a British antique restorer to becoming a classic car woodwork restorer living in France is being featured in the @livingfrance magazine. Discover Simon Lorkin’s journey from antique restorer to classic car woodwork restorer in the September issue of Living France magazine.